They say that there are two types of people in life: those who like to organise and plan, and those who do not organise or plan at all. How am I somewhere in between, then? I like to organise and plan ahead and I like to think that I've got everything sorted out, but unfortunately that isn't always the case. The fact that I like to organise doesn't mean that I wasn't still running around a few hours before my flight to Bangkok trying to sort out my travel insurance. It doesn't mean that when I am getting the train to Brighton to see Lewis I don't totally forget and book my travel that very morning when the prices are sky high. Yet, my clothes and bags were all packed for Bangkok and my first hotel completely sorted. The things that I want to do in Brighton are all planned out - blog posts ready to post for when I can't be at my laptop. I'd say I'm a half organiser, if that's a thing. Admittedly, it appears that the more important stuff, like travel insurance and train tickets, don't actually get organised until the last minute. So, my new years resolution? To be more organised. Luckily, with a little help from the guys at Ryman I don't think that this resolution will be too difficult to stick to. They kindly sent me some stationery goodies to guide and help me through my unorganised world and I hold some hope that 2018 is going to be one hell of an organised year. Woohoo! 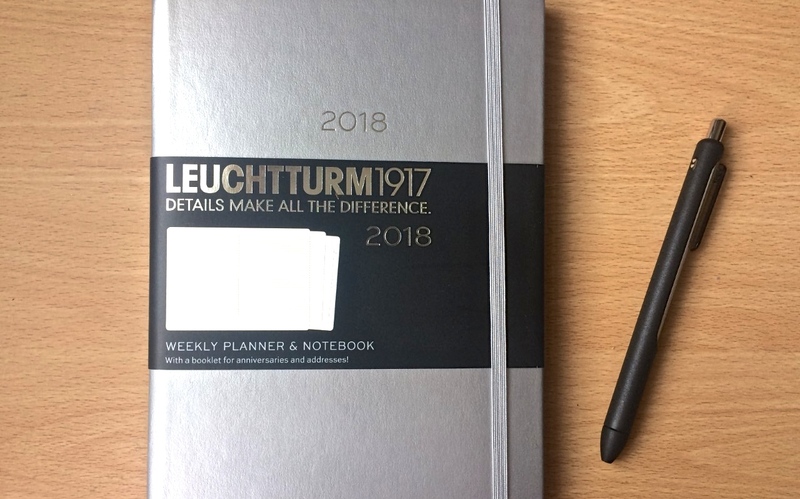 So the first item that I was sent was the Leuchtturm 2018 Weekly Planner And Notebook in metallic grey. Everyone knows that the key to organisation is some sort of planner or diary, so I'm really looking forward to using this in the new year. The diary is A5 which is perfect for putting in my bag and taking it around with me and it's hardback which means my pages should stay looked after and in tact. Now, for someone who, as we have already established, isn't the best at being organised, this diary is perfect as it has everything (and when I say everything I mean everything) in one place. There is a 12 month weekly planner - 7 days on each page and a big old page for notes. There are overviews for 2017, 2018 and 2019 (for the super organised). As well as featuring phases of the moon and international holidays, the Leuchtturm planner has a project planner, an expandable pocket with a booklet for addresses and anniversaries, detachable pages for notes and even self-adhesive labels so that you can label and archive your diary. Wow. I can't wait to use it and have already started jotting down important dates and events in it. To go with my new planner I was sent the Paper Mate Inkjoy Gel Pen Pack. For anyone who loves stationery you will understand my pure excitement at receiving these in the post - ten brand new brightly coloured gel pens that DON'T SMUDGE on paper! 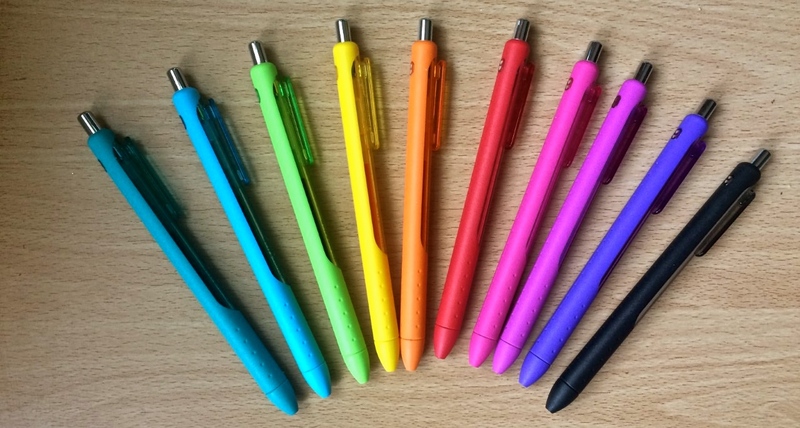 Each colour is vibrant and bold and the gel pens have been cleverly designed with a comfort grip barrel to ensure that they never rub your fingers or become uncomfortable to use. I freakin' love them and can't wait to add some colour to my planner. 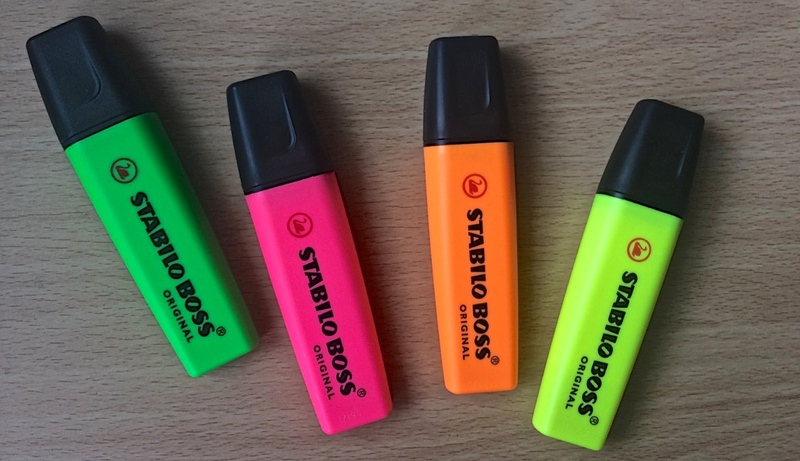 To aid me further in organising my year ahead, I was sent the Stabilo Boss Highlighters. I feel that highlighters are always somewhat overlooked and underrated in the stationery world, when in fact they are actually very handy and, in my eyes, a staple item. I will be using my highlighters to mark off important events and reminders as well as using them to draw attention to super important things that I must remember. If it's highlighted in a fluorescent colour, it's important! Last but not least, a Post-It Multi Colours Cube arrived in my little bundle of organisation. Before I go on, I just have to say that when I first opened this cube I was overwhelmed by the dreamy smell of new pages/stationery/plastic/whatever it is that makes them smell so new and fresh. Does anyone else love the smell of new stationery, or is it just me? 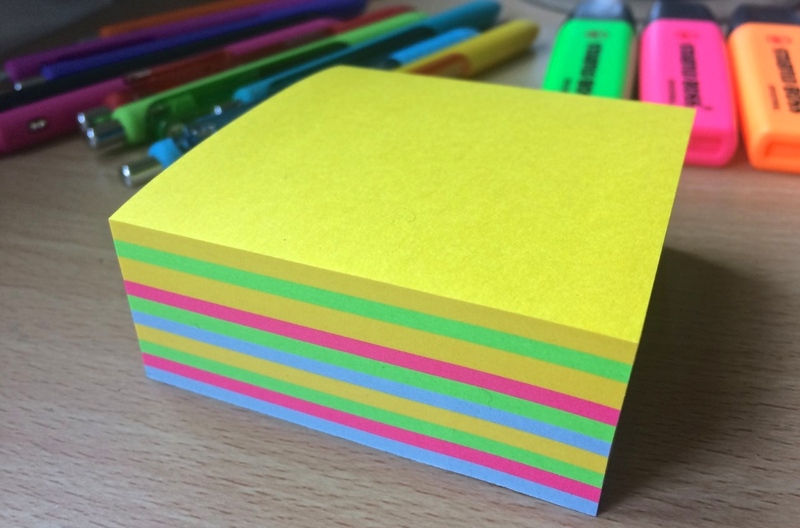 Post-it notes, as we are all probably aware, are super handy when attempting to get organised and are a perfect, colourful little way to remind yourself of important things. I will be dotting these post-it notes around my room and desk with little reminders and to-do lists on them - and hopefully they will get done! A huge thanks to Ryman for sending over these items that are going to make my 2018 a whole lot easier and more organised. If you want to pick up some stationery goodies for yourself, head over to their website and let me know what you get. Happy organising! I love Ryman for stationery so will definitely be checking out their items and stocking up for 2018! I definitely like to plan! Always have a to do list. I love stationery and all this collection you have on show is so tempting to buy. I do like a bit of good stationary, and this stuff from Ryman is spot on. I'm like you, somewhere inbetween, so need a little bit of help with the planning. I like a nice chunky planner, and always best when set out in weekly pages. I always have so much going on, that I really need something like this to keep me on track (most of the time).